Want to find out about God - but not sure about church? Why not come along to our alternative style service on the first Sunday evening of each month. 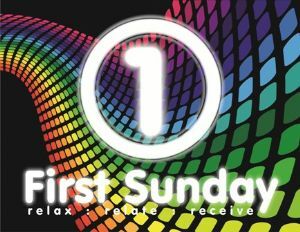 First Sunday is an informal cafe-style setting with drinks and nibbles. It seeks to explain how the Christian faith relates to the issues and practicalities of everyday life. Videos, dramas, talks, music and games are all used to explore the 'topic of the month'. The relaxed cafe-style atmosphere allows space for a chat, a debate or just coffee. 7th October: Unlikely Heroes? God calls shepherds and outcasts; the unlikely ones. Abraham & Sarah were unlikely heroes t father a nation but what is impossible for man... Who is God calling today? 4th November: Everyone Welcome Jesus was accused of being a drunkard because of the people he hung out with. Are we being accused? Jesus invites everyone to the table. 2nd December: God Loves Thanos 'Work, buy, consume, die' is killing our planet. If the outcome is less bad than the means, is it ethical? Is Thanos right to save the universe by removing half of its inhabitants? 6th January: Holy Infection Jesus reversed the 'holiness' of the Pharisees, who excluded the 'unclean' for fear that they would be infected. Jesus touches the unclean, infecting them with holiness. 3rd February: Goodness Greatness? Is 'settling' for good the enemy of greatness? Everyone wants to change the world but no one wants to do the washing up! What is success for God? 3rd March: Awkward "When praying for healing on the streets it was embarrassing doing it, and it felt awkward; but every time we did it people experienced Jesus." 7th April: Passion Nothing great has ever been achieved without passion. Let's put 'the passion of Christ' into perspective; love is invincible in the face of danger and death. 5th May: Sticky Gal 6:9 "Let us not become weary in doing good because at the proper time we will reap a harvest if we don't give up." If you stick it out, the view you see will be even more beautiful. 7th July: Impossible Living Are you living a life that would not be possible unless Jesus had risen from the dead?